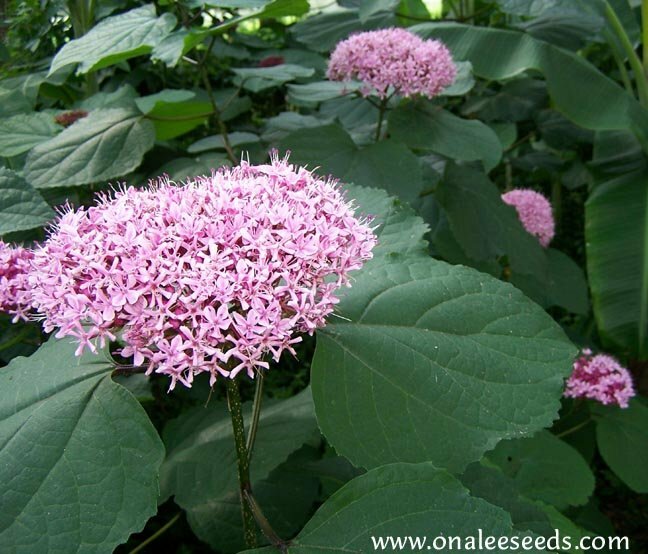 Mexican Hydrangea, Mexicali Rose, Cashmere Bouquet are just a few names given to (Clerodendrum bungei) a beautiful and fast growing 3' to 5' shrub with great foliage and wonderful 4 to 6 flowers. 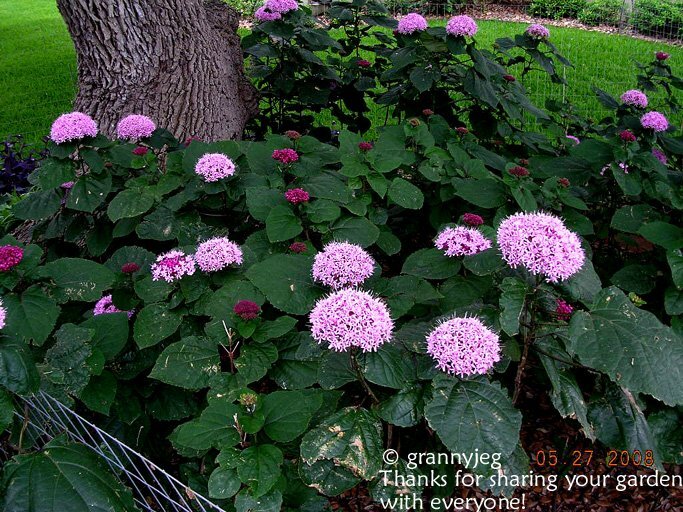 Mexican Hydrangea, Mexicali Rose, Cashmere Bouquet are just a few names given to (Clerodendrum bungei) a beautiful and fast growing 3 to 5 foot tall shrub with great foliage and wonderful 4" to 6" wide flowers. Growing zones are 8 to 11 - they will be killed by frost but will rapidly grow back once the weather warms and will bloom by late spring and continue throughout the summer. A very easy maintenance-free plant that requires very little water once established. Prefers full or partial shade but can take full sun with more water. These plants multiply by sending out underground runners so be sure to plant them in an area where the runners can be controlled (mowed down or dug up), in a woodland area to add interest and color under the canopy or in a large flower bed. 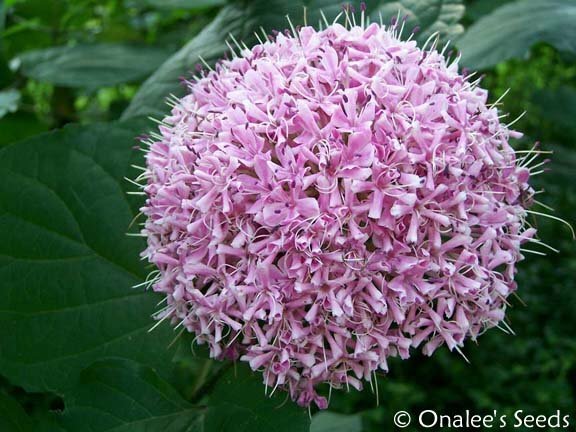 I have not found them difficult to control and their large globes of pink/purple flowers are well worth it! Plants ship within the USA only.